Zika viruse enters India: All you need to know. Zika virus disease has reached India, with the World Health Organisation (WHO) confirming first three cases in Gujarat's Ahmedabad. 1. All the three Zika cases detected in Gujarat including two pregnant women were from Bapunagar area of Ahmedabad. The cases were detected between November last year and February this year. However, the WHO confirmed these cases on Friday. 2. Dr Soumya Swaminathan, Director General, Indian Council of Medical Research (ICMR), told that the three patients had no overseas travel and so the infection could have been acquired locally. "There is no need to panic. All three cases recovered," she said. 3. One of the cases is of a 34-year-old woman who delivered a healthy baby at the BJ Medical College in Ahmedabad in November last year. Another was of a 22-year-old pregnant woman in her 37th week of pregnancy. 4. As part of the surveillance system to detect and contain new infections, nearly 50,000 samples have been tested for Zika virus in India so far. 5. An infection during pregnancy can bring the risk of birth defects in newborns like blindness, deafness, and even seizures. There are also chances that babies could be born with unusually small heads, a condition known as microcephaly. 6. Health ministry officials said all states were following the standard protocols to prevent an outbreak of the disease. The Centre has shared the guidelines and action plan on Zika virus with the states. 7. All the international airports and ports have been asked to display relevant information in this regard for travellers. 8. In Singapore, 13 Indians were tested positive for Zika virus in Singapore last September. 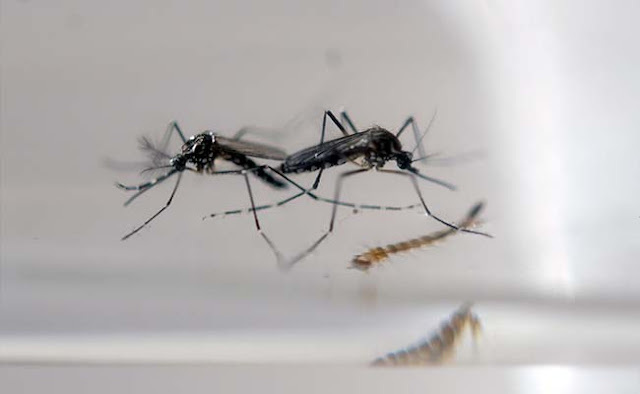 More than 400 people were infected with Zika virus last year confirmed two cases of locally transmitted infections of the Zika virus. 9. The WHO declared Zika a public health emergency. The virus Zika virus spread by the Aedes mosquitoes but can also be transmitted through sexual conact. Its symptoms include mild fever, rashes on the body, joint ache, muscle spasms and severe headaches. 10. The government has set up an inter-ministerial task and monitoring group force to regularly review the disease.